MAJOR PRICE REDUCTION!! Walk inside and appreciate the beauty and quality of this home! 2 x 6 construction on this 1917 Sq ft 3 bed, 2 bath home with 9' ceilings throughout, gorgeous kitchen with all the upgrades! Open floor plan flows into spacious living/family room with cozy Regency wood-burning stove. Additional room could be formal dining or formal living room, office or whatever you would like! Wait till you see the luxurious master bath with huge jetted tub, TV, two shower heads, and so much more! Much of the land is gently rolling and useable. HOT TUB on huge (18'x 78' per seller) back patio included (less than 2 years old!) Lush green lawn in backyard and gorgeous views! Detached 2 car garage. Easy 33 mile commute to Fresno or Clovis! Only six miles to Bass Lake & 27 miles to the gate of Yosemite National Park...Must see inside to appreciate! 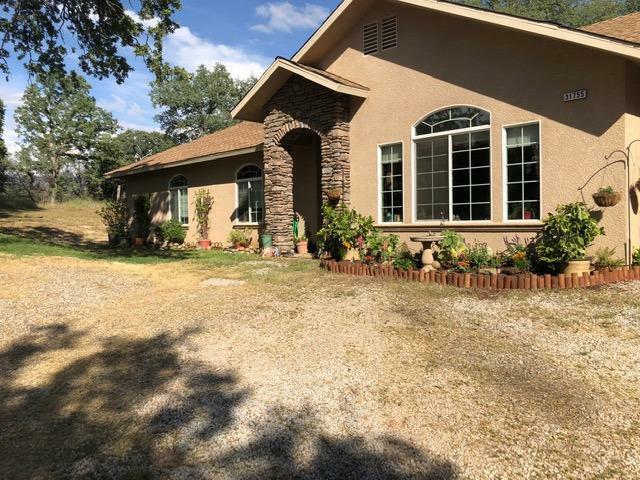 Listing provided courtesy of Judy Wensloff of Keller Williams Fresno.